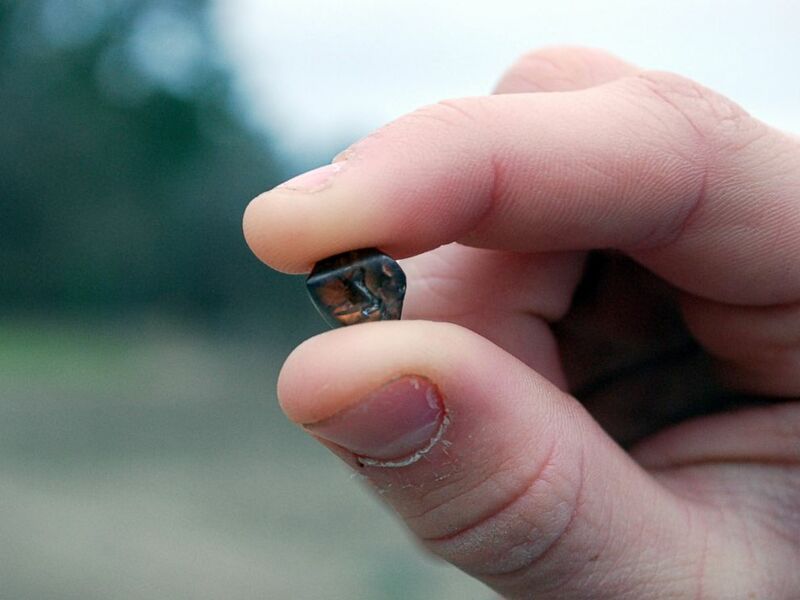 A teen named Kalel Langford just found a 7.44-carat diamond at Crater of Diamonds State Park in Murfreesboro, Arkansas. Kalel, 14, named it “Superman’s Diamond” after the comic book hero Superman whose real name is also Kal-El. It’s the seventh-largest diamond ever found in the park. The brown diamond is coffee-colored and about the size of a pinto bean. Kalel found it within his first 20 minutes at the park without even looking that hard, his mother said. Day before yesterday, for the first time the Indian government said that Britain did not steal the famous Kohinoor diamond. The 105-carat Kohinoor diamond, which is part of the British crown jewels, sits in the Tower of London. The stone has been a point of controversy and disagreement between India and Britain ever since it was taken from the Punjab and presented to Queen Victoria in 1849. India’s top court held the hearing as a response to a public petition calling on New Delhi to spell out its policy on the gem. This long standing dispute appears to be at an end as of April 17th when India’s solicitor-general told a judge that, in the opinion of the culture ministry, the diamond had not been “forcibly taken” but was a gift. "Kohinoor cannot be said to be forcibly taken or stolen as it was given by the successors of Maharaja Ranjit Singh to East India Company in 1849 as compensation for helping them in the Sikh wars," said Ranjit Kumar. The massive Kohinoor diamond is thought to have been mined in southern India in the 1300s. Over the centuries it changed hands many times passing from Mughal emperors, Afghan warlords and Indian Maharajas. Because of the tragic and bloody fates of previous owners the Kohinoor, which means Mountain of Light, came to be feared as “cursed”. The 105 carat jewel was in the possession of the rulers of Punjab's Sikh Empire when the Anglo-Sikh wars broke out in the late 1840s. The jewel was in the possession of the rulers of Punjab's Sikh Empire when the Anglo-Sikh wars broke out in the late 1840s. The East India Company, acting for the British Crown, aided the Maharaja in securing victory and the Maharaja subsequently presented the diamond as compensation under the Treaty of Lahore. The diamond now adorns the queen consort’s crown. At the court hearing Mr. Kumar cited a 43-year-old law that does not allow the government to bring back antiquities taken out of the country before independence unless they were illegally exported. The reason for the apparent reversal in position was not immediately clear, although Mr Kumar told the court that if India claimed treasures like Kohinoor from other countries, “every other nation will start claiming their items from us”. Pakistan has also argued ownership of the diamond, saying that the area of the Punjab where the jewel was taken from is actually in present-day Pakistan. Mr. Kumar's statement is quite similar to comments made by David Cameron during a visit to India in 2010, when he was asked if Britain would ever return the gem. Britain has always maintained that the diamond was "legitimately acquired”, and its ownership "non-negotiable." "If you say yes to one you suddenly find the British Museum would be empty,” said the Prime Minister. "I think I'm afraid to say, to disappoint all your viewers, it's going to have to say put." The Gemological Institute of America has cut off four clients traced to hundreds of diamonds submitted with an undisclosed treatment that improves their color by as much as three grades but fades over time. On May 12, 2015 GIA Laboratory sent out notifications about the still-unidentified temporary treatment Tuesday and is asking anyone in the trade with these 424 potentially treated stones to turn them back into the GIA for reexamination. According to the National Jeweler approximately 76 of the 500 already have been reexamined by the GIA.) The majority of the stones are 1 carat or larger. GIA has confirmed that they have terminated the client agreements of the companies linked to the stones. GIA spokesman Stephen Morisseau said the lab “reasonably suspects” that the companies knew the diamonds were treated and did not disclose it. The lab became aware of this potentially new color treatment when a client purchased one of these diamonds and the treatment began to wear off, leaving him with a diamond that had a much lower color grade than what he had paid for. He returned the stone to GIA for reexamination. It was then that the GIA discovered the treatment and the stone was connected with hundreds of others that had been submitted by the four companies. GIA hasn’t drawn any solid conclusions yet, Morisseau said they “reasonably believe” that all of the approximately 500 stones have been treated, but cannot definitively say anything until the lab reexamines them. Morisseau said the GIA has not yet identified the treatment but are “actively researching it.” He added that they are monitoring other GIA labs worldwide for similar submissions. You may view the list of recalled diamonds here.